Start with eight cups of basic vegetable or chicken stock. Cut six large ripe tomatoes in half and scoop out the seeds. Place them cut side up on a baking sheet and drizzle with olive oil. Roast at 40° F for about 45 minutes or until wrinkled, but not burnt. Add the tomatoes to the stock in a large pot and boil for five minutes. 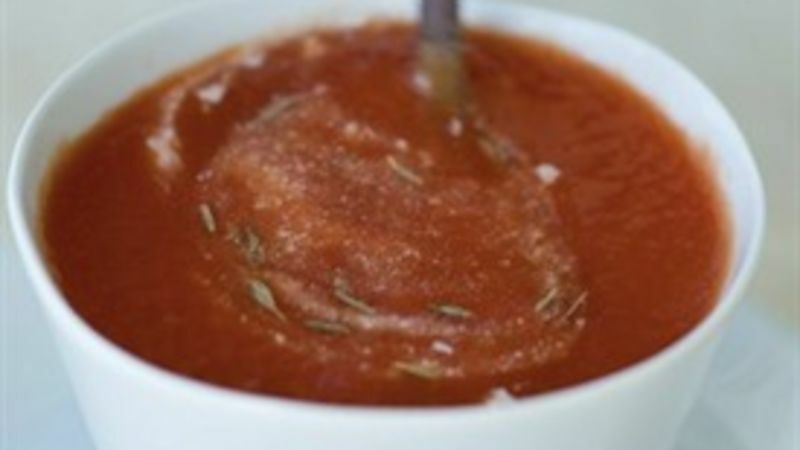 Puree the tomatoes with the stock using an immersion blender, or toss into food processor to blend. Season to taste and enjoy. You can save time making tomato soup by replacing the roasted fresh tomatoes with a couple of 28 ounce cans of diced or crushed tomatoes.